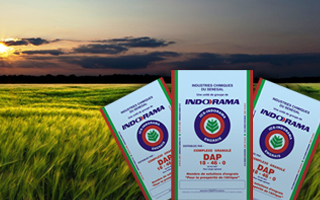 The Presidential Committee on Fertilizer Initiative (PCFI) has expressed satisfaction with the participation of Indorama Eleme Fertilizer & Chemicals Limited (IEFCL) (www.Indorama.com), Port Harcourt, in the programme aimed at supplying NPK fertilizer to farmers nationwide at cheaper cost. Chairman of the committee, Alhaji Mohammed Badaru Abubakar who is also the Governor of Jigawa State made this statement on Saturday, 4th February, 2017 when he visited the Indorama world-class fertilizer plant in the company of the President of the Fertilizer Producers & Suppliers Association of Nigeria (FEPSAN), Mr. Thomas Etuh and the Managing Director of the Nigerian Sovereign Investment Authority (NSIA), Mr Uche Orji. Alhaji Abubakar said he was impressed that Indorama has fully keyed into the Presidential Fertilizer Initiative whose goal is to help the Federal Government to achieve higher food production and food security in the country. This is contained in a press release issued by the head of Corporate Communications of Indorama-Nigeria, Dr Jossy Nkwocha. 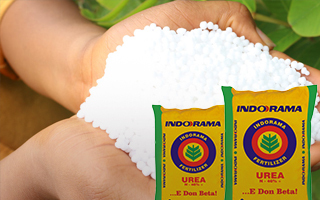 According to him, Managing Director of Indorama-Nigeria operations, Mr Manish Mundra, received the team and conducted them round the Ammonia, Urea and Utilities plants which have capacity for 1.5 million metric tons of Urea fertilizer per annum and the largest single-line Urea plant in the world. “The shutdown of the Ammonia plant is part of Indorama’s excellent maintenance culture and innovation, and the plant will be re-started on 24th February,” Mr Mundra assured. Governor Abubakar said he was quite impressed with Indorama’s operations especially in helping the Federal Government to achieve its agricultural transformation agenda. “I must say that I am impressed that Indorama is supporting the Federal Government initiative. This is one of the initiatives to bring down the cost of food items in the country”, the Chairman said. President of FEPSAN, Mr Etuh, also commended Indorama for keying into the Federal Government Initiative and promised that members of the association, especially the blending plants will make the best use of the opportunity to facilitate greater crop harvest this year. 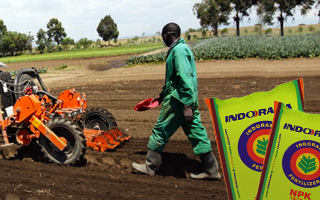 Indorama has supplied about 250,000 metric tons of granular Urea fertilizer to farmers nationwide since June 2016 when it commenced production. Through import substitution, the company has helped the Federal Government to save foreign exchange and also earn scarce forex through the export of its surplus production after meeting domestic demand.